Harbor View Armoire Antiqued White By Sauder. 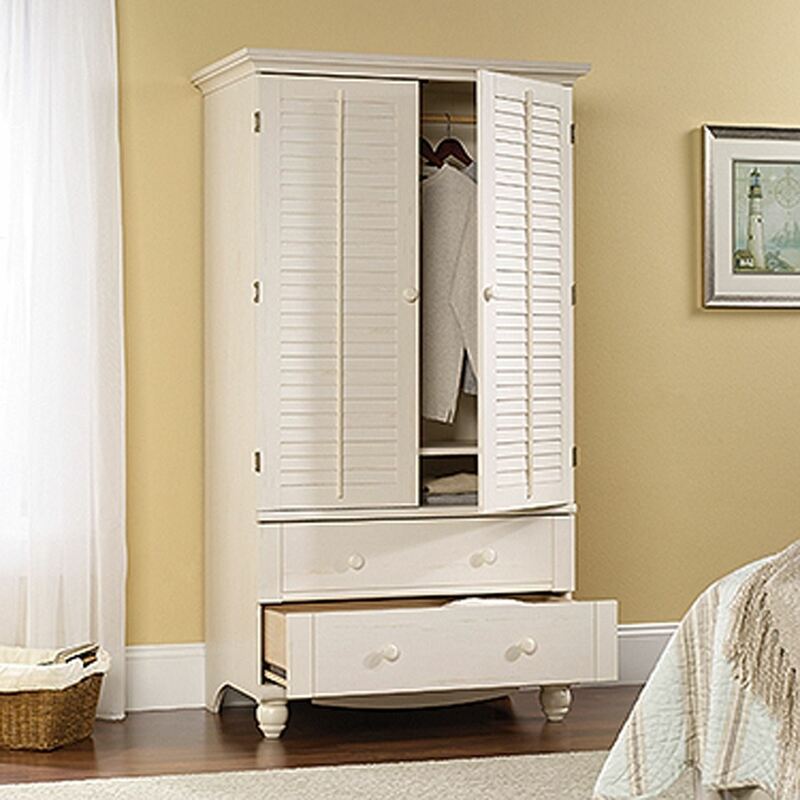 Give your bedroom a fresh new look with this armoire from the Harbor View collection. 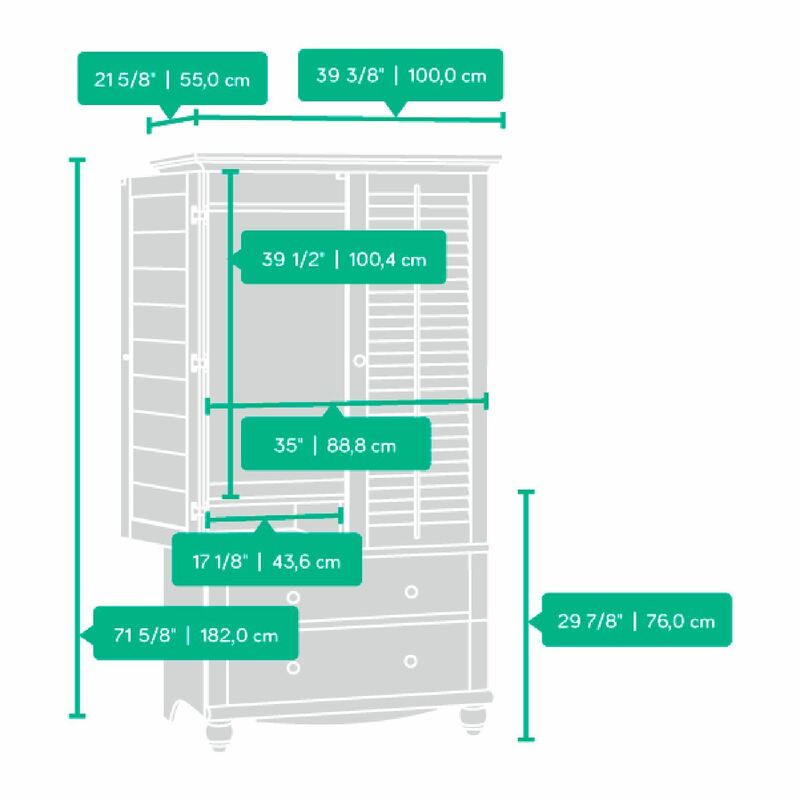 Behind its louver detailed doors, it features a garment hanging rod and storage cubbyholes for your plethora of clothes and shoes. 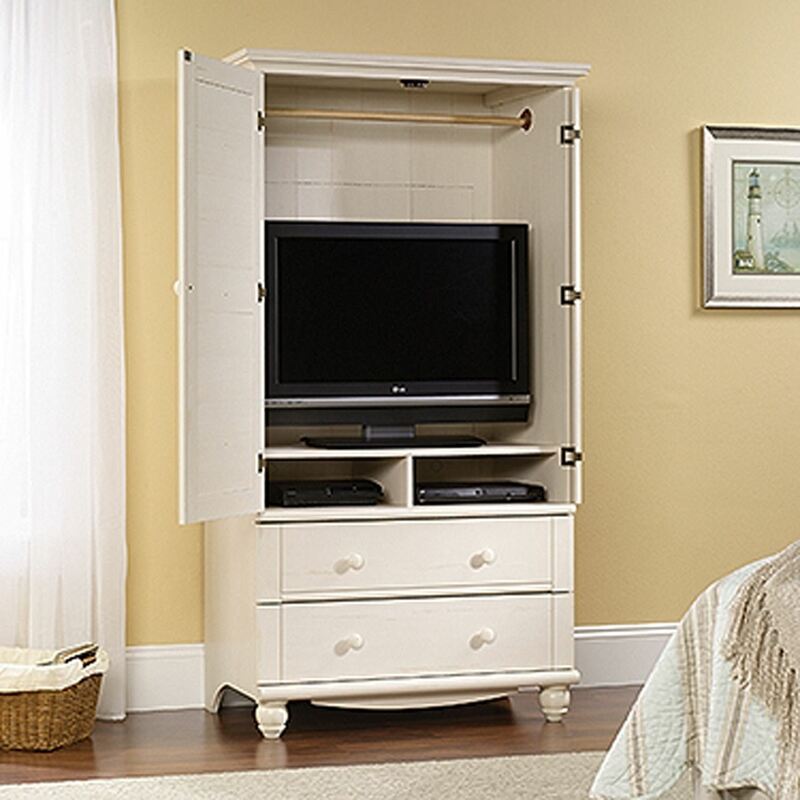 Two spacious drawers hold clothing and blankets or movies and games. 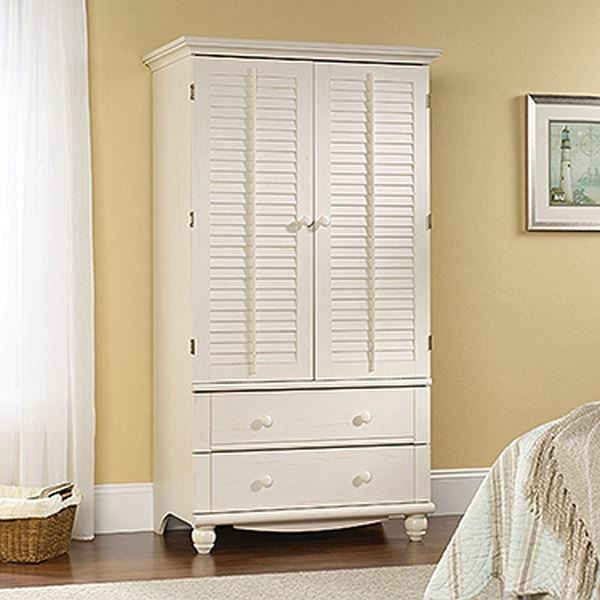 It's Antiqued White finish and solid wood turned feet will make your bedroom feel brand new.